Manchester City welcome Tottenham Hotspur on Wednesday night to the Etihad Stadium. City, who defeated Crystal Palace in their last Premier League fixture, need to score at least two times more than the visitors to advance to the semi-finals. In the first leg, City faced a narrow defeat courtesy of Korean sensation, Son Heung-Min. The winger's left-footed strike went past Ederson Moraes and gave Spurs a slight advantage ahead of the away fixture. 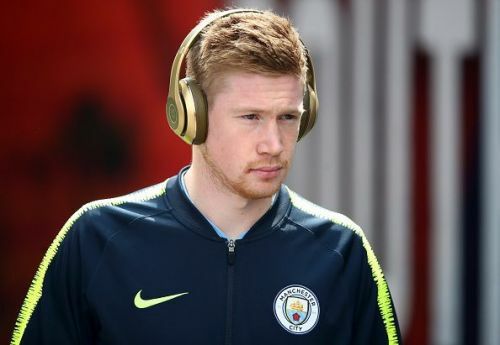 Manchester City, on the other hand, lined-up without the likes of Kevin De Bruyne and Leroy Sane in the first leg. Pep Guardiola is not likely to omit these players again as their midfield struggled at the new Tottenham Hotspur stadium. Pep Guardiola has already asked City fans to show extraordinary support for the players, which wouldn't make things easier for the visitors. Last time when these teams faced off at the Etihad Stadium back in December 2017, Man City put on a stellar performance as they beat Spurs emphatically 4-1. If Man City can put on the same performance again on Wednesday night, there is no doubt that it would be the last game of the competition for Mauricio Pochettino's men. 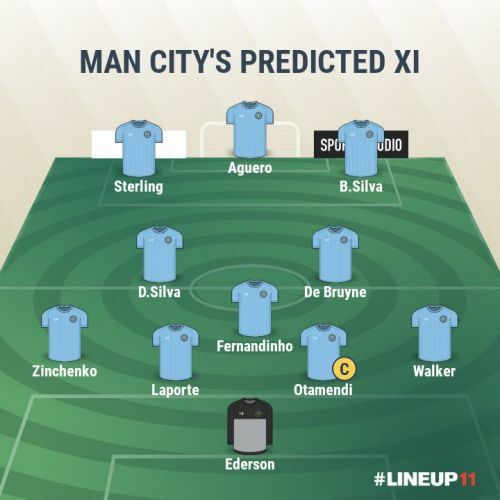 Man City should bring back Leroy Sane and Kevin De Bruyne to the starting line-up, whereas Fernandinho, who missed the Palace game at the weekend due to a muscular injury, is likely to make his return to the lineup. Benjamin Mendy is still not fully fit, so the young blood, Oleksandr Zinchenko could be a replacement for the Frenchman at City's left-back position. Sergio Aguero should make another start in City's colour over Brazilian Gabriel Jesus. 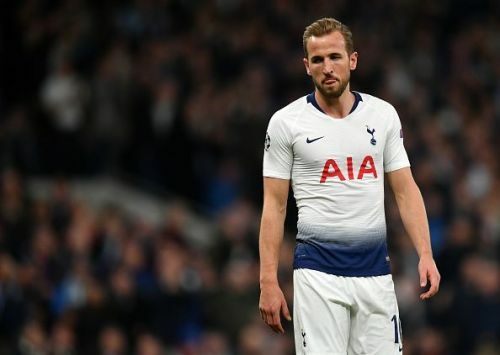 Spurs have some mighty injury issues as they are going to miss superstars like Harry Kane, Eric Dier, Serge Aurier and Erik Lamela. Fernando Llorente and Dele Alli are doubtful ahead of the journey to Etihad Stadium. While they have a number of injury concerns, Spurs will travel to Manchester comforted by the electric form of Lucas Moura. The Brazilian scored a brilliant hat-trick against Huddersfield on Saturday. He should lead the front line with Son against the fellow English opponents. Injuries: Harry Kane (out), Erik Lamela (out), Eric Dier (out), Serge Aurier (out), Dele Alli (doubtful), Fernando Llorente (doubtful). 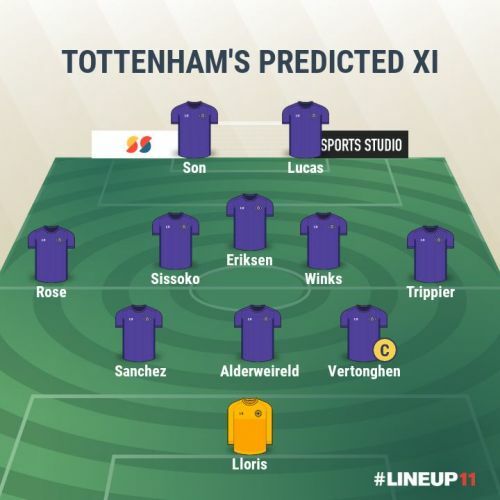 Tottenham Hotspur: Lloris; Alderweireld, Sanchez, Vertonghen; Trippier, Sissoko, Winks, Rose, Eriksen; Lucas, Son.